Have you come across a lot of interesting links from Twitter, but you don’t have the time to read all of them? Today we’ll show you how to read these links later from your desktop and phone. Instapaper saves web pages so you can read them at a later time. Not only does it save an online article to read later, but also gives you several choices for where you want to read it. 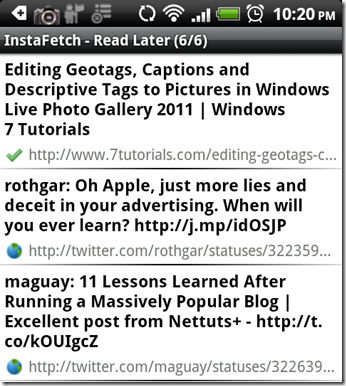 Instafetch brings the simplicity and readability of Instapaper, that non-iOS mobile platforms users (Android and Windows 7) have long been waiting for. TweetDeck is a real-time social networking client that connects us accross different platforms: Twitter, Facebook, MySpace, LinkedIn, Foursquare, Google Buzz and more. Evernote is a free note taking application that helps us organize our most disorganized pile of notes. 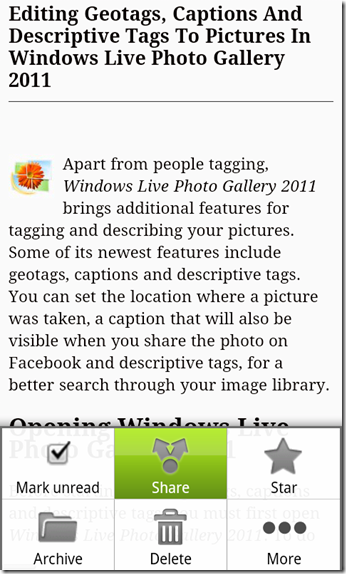 Evernote allows saving notes, pictures, and web content to one centralized location and access it from almost anywhere. 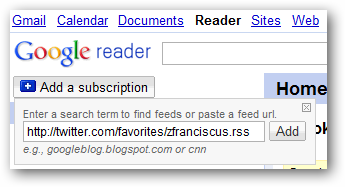 Google Readers helps us read more content out of our RSS Feed subscription, without having to refresh our RSS Feed bookmarks constantly. It is a great time saver when we have to read hundreds of tech news from our RSS feed. We follow a lot of people who tweet important links as our source of information. Unfortunately, when you follow too many chatty people on Twitter, the noise can be overwhelming. Thanks to Instapaper, we have been saving important tweet links for later reading anytime, anywhere. With Instaright – a Firefox extension for Instapaper – saving links to Instapaper from Firefox has never been easier. 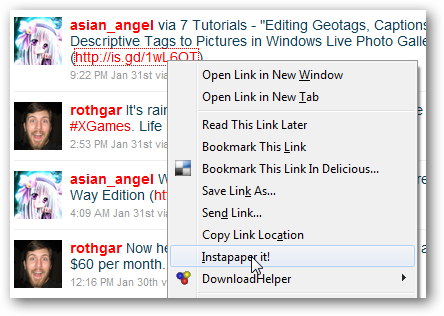 Instaright adds an option to Firefox’s right click context menu that allows us to save links with a single click. Save as many links as you want, and when you’re ready to read them, go to the Instapaper site, and you’ll see a list of the articles you saved. You can click each link to go directly to the saved page, or archive the article for later. Of course, the desktop is not the only place where we read Tweets, we also read our links in our phone. 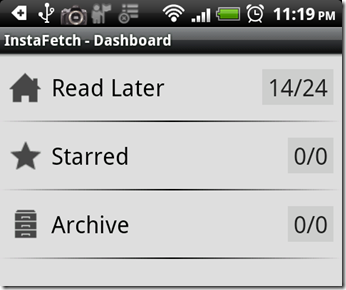 Instafetch brings the convenience and simplicity of Instapaper onto Android. You will find that when you tap each article, Instafetch renders the article content into a minimalist text-based web page – with no pictures nor frames – for easy reading and quicker load time. 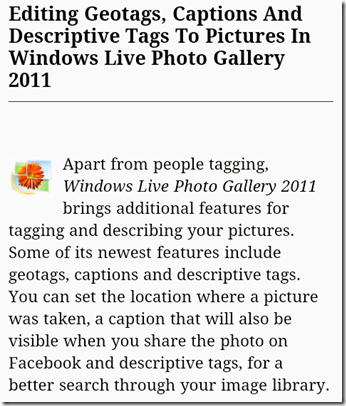 Instafetch also caches the content of the web page for offline reading. When it comes to reading Twitter, TweetDeck is our number one choice. 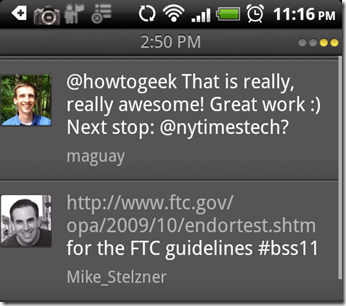 Saving tweets for later reading in TweetDeck’s Android client is a breeze. 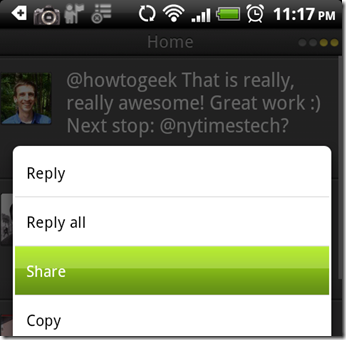 Just tap, and hold down a Tweet to bring up the sharing menu. 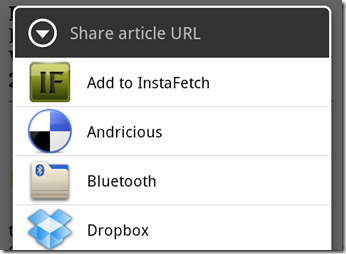 Tap the share button, and you will see an option to share the Tweet to Instapaper, via Instafetch, for later reading. Instapaper, whether you’re using a computer or a phone, is an excellent tool to save things to read. Instapaper saves any content for later reading anytime you want – even offline. As great as Instapaper is (and trust us, it’s great), there are a number of ways to make it even better, and Evernote is one of them. Whenever we find a useful links in our Instapaper reading list, we’ll save them to Evernote. We recommend that you install the Evernote client for Android so that you can send links directly to Evernote from Instafetch. There are two options to save your Instapaper content to Evernote: saving the URL, or saving the content of the web page to Evernote. 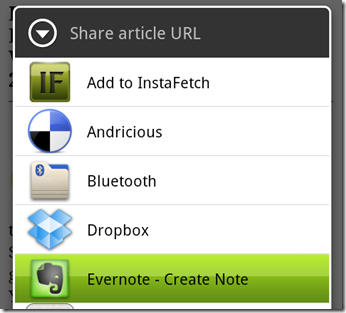 If you want to save the URL, you need to tap the share button, followed by the “Evernote – Create Note” menu. 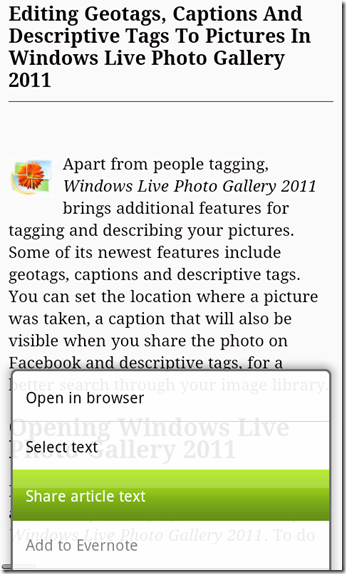 … and you can save the content to Evernote. 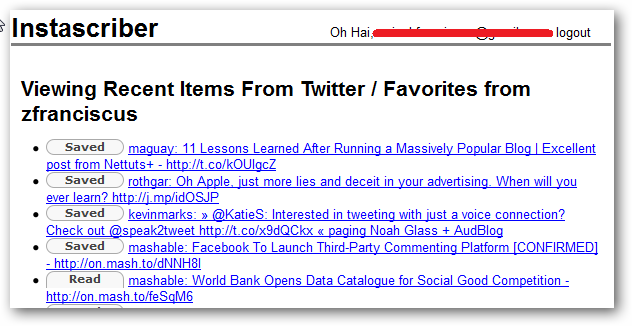 If you have been using “Favorite Tweets”, you should know that Twitter publishes your favorite tweets as an RSS Feed. As tech writers, we subscribe to hundreds of news feed, and without a good tool – like Google Reader – we’ll go nuts reading them one by one. 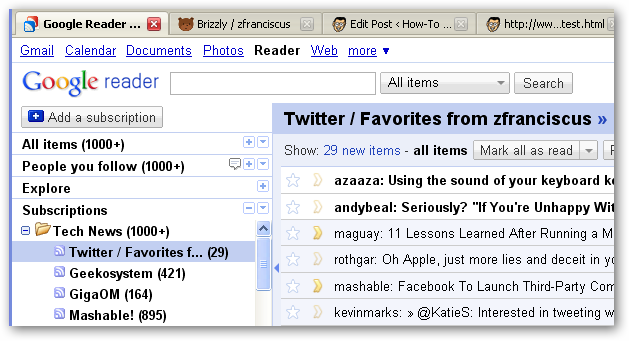 Note: Your “Favorite Tweets” RSS feed comes in this format: “http://twitter.com/favorites/[user name].rss”. 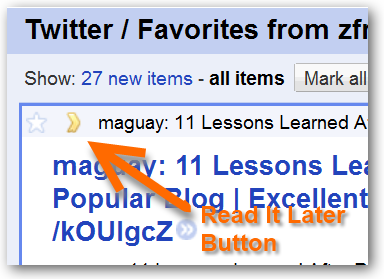 Google Readers helps us organize our feeds, with folders, into logical chunks of information. You can even click the “Read it Later” button to save links for later reading to Read It Later. 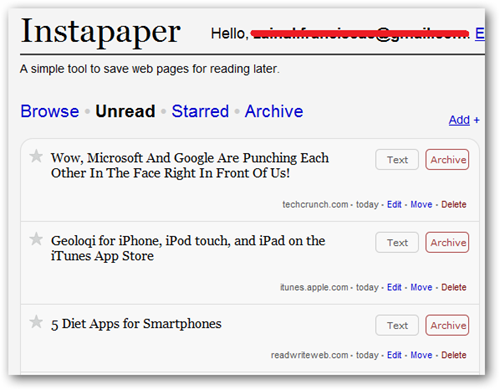 If you happen to be an Instapaper user, you should try Instacriber as an alternative to Google Reader. Instead of saving each link to Instapaper, it’d be nice just set them to do so automatically, and this is where Instascriber comes in. Instascriber reads your “Favorite Tweets” feed, and send it to Instapaper when you click the “Saved” button. In How-To Geek, everyone uses different tools to save links for later reading. Me and Yatri use Instapaper, or its closest sibling, Read-It-Later. Our Chief Geek uses Evernote, and others use Google Reader to save links for later reading. We recommend that you try some of these tools and stick with the ones that work best for your need. Feel free to share with the other fellow readers about how you organize links for later reading in the comments.